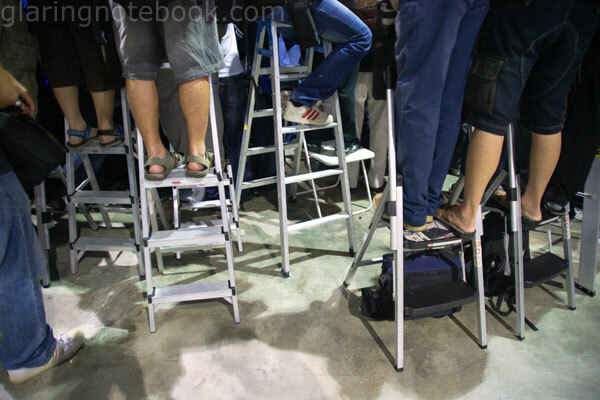 Albert returns with a chock-ful of photogeeking! 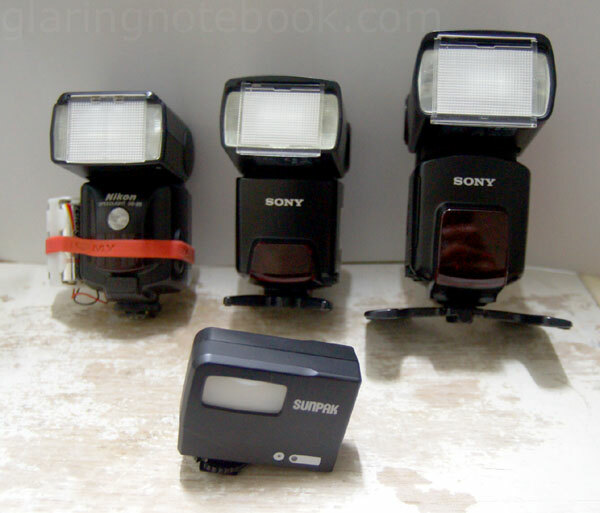 Yes boys and girls, this is my flash triad – from left to right, the Sony HVL-F42AM, Sony HVL-F58AM and the newly bought Sunpak PF20XD! And here’s a less flashy picture – from left to right, my Nikon SB-28 (dynamite edition), Sony HVL-F42AM, Sony HVL-F58AM and the Sunpak PF20XD in front. The rear is very simple – A1/A2/A3 is auto exposure, and the sync mode can be set to skip the pre-flash. I’m not sure if it skips the wireless signal from an Alpha pop-up flash simply because I don’t have an Alpha pop-up flash on my A900 to test this with. Which is why I got this flash in the first place – as a replacement for my missing pop-up flash. This one of course is more powerful, dishing out 20 meters at ISO100. 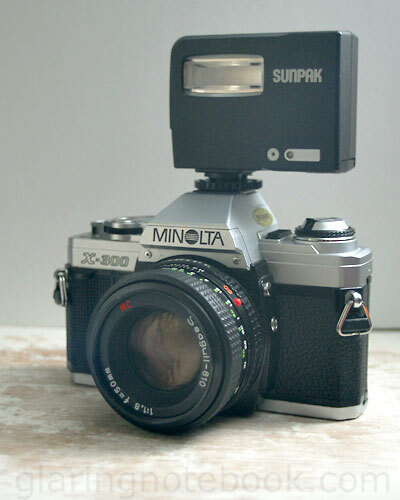 Here it is mounted on my Minolta X300 – yes, it’s the standard ISO hotshoe mount, with 2 pins just to trigger the flash. 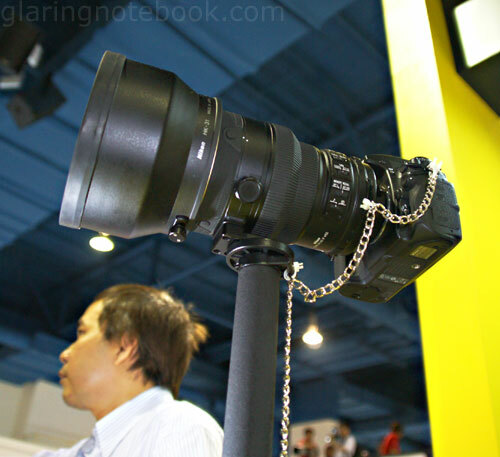 So it’s not a Canon-mount or Nikon-mount flash! 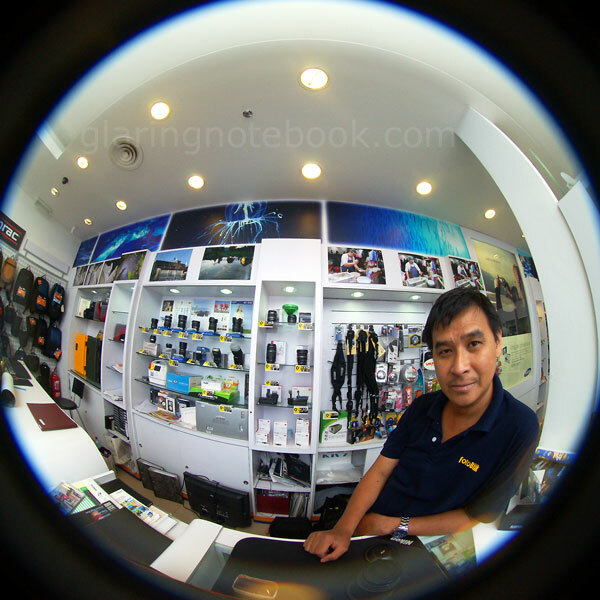 …it amazingly reaches to the sides on my Peleng 8mm F3.5 circular fisheye! I will be bringing this little baby to the clubs where the F42 is simply too big. Bouncing light with the F58 and fisheye is not easy, either! So I might as well go for direct and blend in ambient light. It looks good enough anyway! Also spotted at the same shop, dSLR in Subang Parade, was this mega-pack! 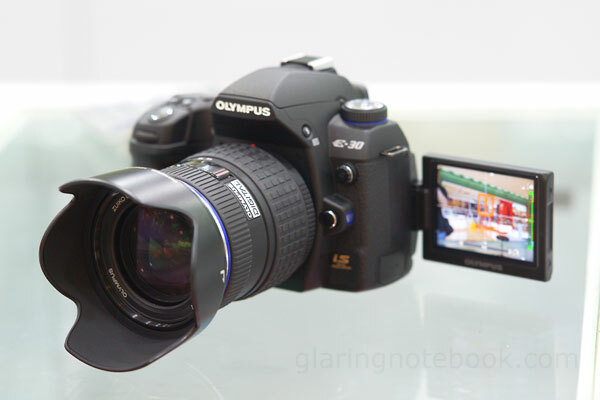 The Olympus E-520 with the ZD 9-18mm F4.0-5.6, ZD 14-42mm F3.5-5.6, ZD 40-150mm F4.0-5.6, ZD 70-300mm F4.0-5.6! Only thing missing was the ZD 25mm F2.8. 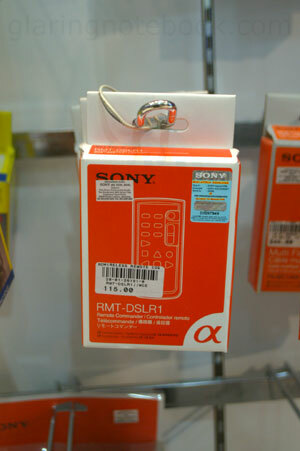 And then I headed to Sony Style KLCC to find the Sony A700/A900 remote, the RMT-DSLR1! I’ve always wondered why the Minolta/Sony 135mm F2.8/T4.5 Smooth Transition Focus (STF) lens was manual focus only. So, I decided to test this theory by mounting it on my Minolta X300! First I had to keep the aperture blades open, so I stuck some tape to hold the lever in place. 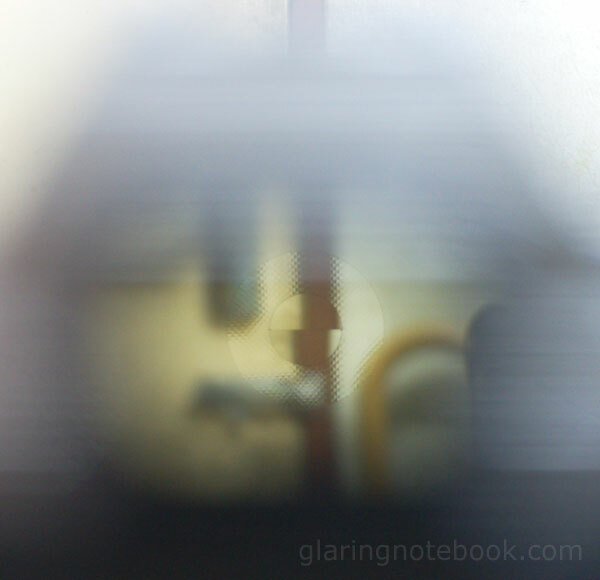 As you can see, inside the lens, the edges are gradually darker due to the apodization filter inside. 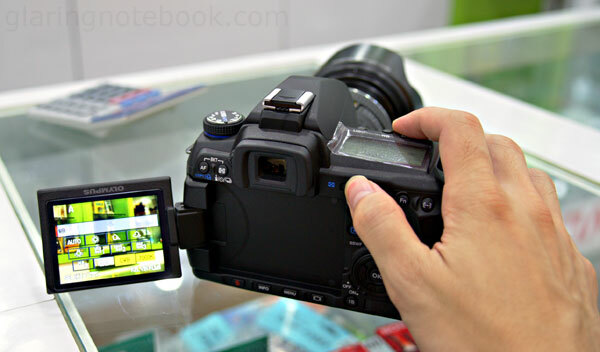 Then, I positioned the lens and body together, with an eraser and CF card holder to keep the lens from rolling. I looked through it, and it confirmed my theory – the upper half and lower half of the split prism would never match due to the gradual darkening coming from opposite ends! This is due to the apodization filter which darkens the periphery of the lens (giving the beautiful bokeh that the STF possesses.) Obviously, the top half is looking through the right side of the lens while the bottom half is looking through the left side of the lens. 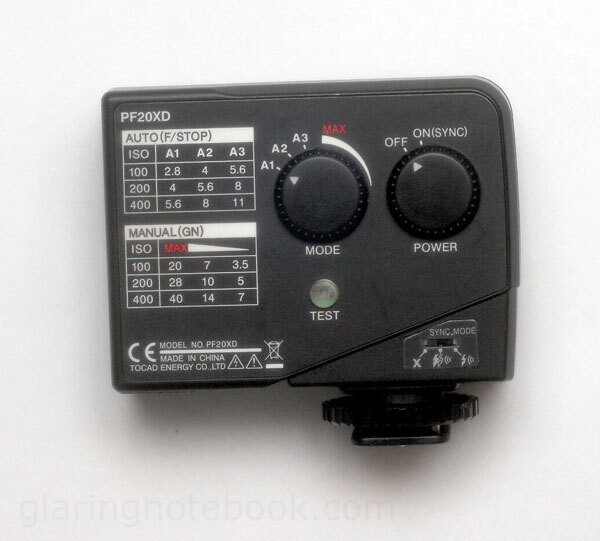 Phase-detect auto-focus works in a very similiar way to a split-prism on a manual-focus viewfinder – it looks at the subject from two opposite ends of the lens and drives the lens to focus so that the two images are aligned. If you’ve tried a darker lens on a split-prism viewfinder, you might find that one of the two halves will be darker than the other – this just means that your eye is not centered in the viewfinder, so you need to move slightly to your left or right until the brightness matches. However, you would never see a gradient darkening with a non-STF lens! 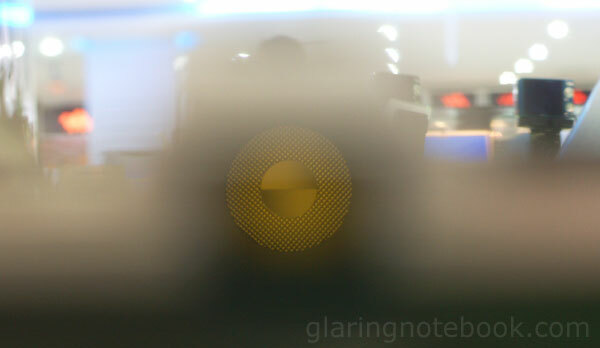 This is what an out-of-focus picture looks like through a split-prism viewfinder. You need to focus the lens by turning it until the top and bottom halves of the split-prism align. This will be easiest to focus on vertical lines and almost impossible with horizontal lines! I then tried to see if the gradient darkening happened with a normal lens by moving the camera left and right of the viewfinder – it didn’t. Instead, one half got uniformly darker than the other. Of course, on an phase-detect auto-focus system, the ‘eye’ never actually moves left and right, and it’s always aligned on the center. 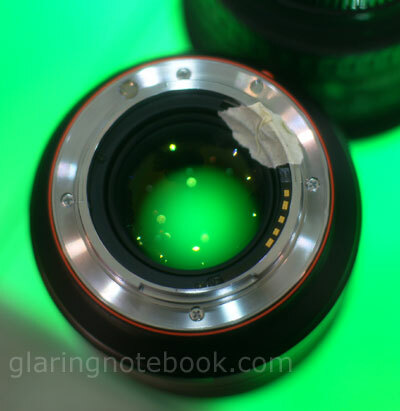 So how does a regular phase-detect auto-focus system work? Each AF sensor has two lines of sensors – one line of CCDs that sees the upper half, one line of CCDs that sees the lower half. It can see how ‘far’ each line is from each other, and know immediately where to focus the lens. So, the lens is driven to the focus point, and then the camera looks at the two halves again and makes micro adjustments. Cross-type sensors are just a pair of line sensors at 90 degrees from each other, so it is sensitive to both horizontal and vertical detail. 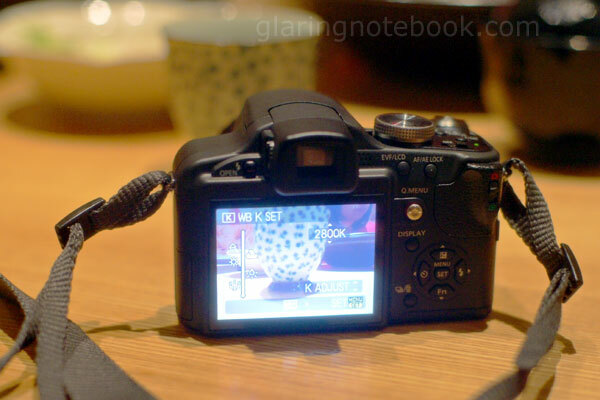 So why doesn’t the STF work with auto-focus? As you saw earlier, the top and bottom halves have a gradual darkening coming from opposite ends. So, even if the object was in focus, the CCDs will never say it’s a match! A way that might’ve worked is that the camera knows that the STF is being used, and compensates for the gradual darkening when comparing what the two CCDs see. My guess is that the gradual darkening differs with focus range and aperture setting, so it might’ve been too complicated for Minolta to program into the bodies when they first released the STF. So what’s the big deal about the STF anyway? Sony 135mm F2.8/T4.5 STF at T4.5. Note how the out-of-focus highlights are circles with gradually darker edges. Minolta 50mm F1.4 at F1.4 (cropped to give the same angle of view.) Note how the out-of-focus highlights have ugly, distracting borders (especially at the bottom of the picture.) 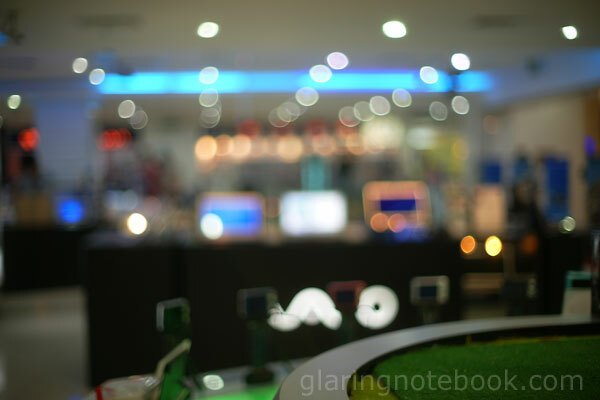 These borders are called bright-line bokeh. 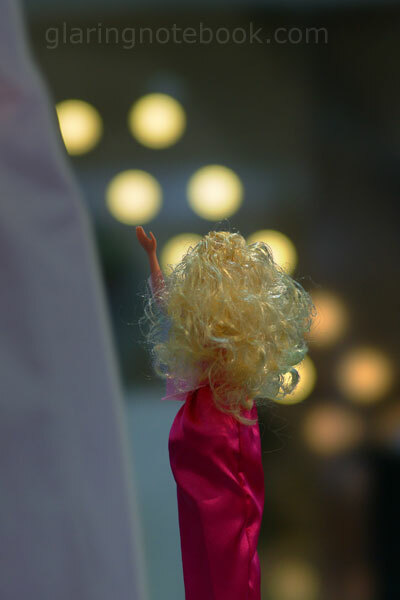 Here is another example also from the 50mm F1.4. The lights on top really should be out of focus and thus not distracting, but they pop out of the background! Of course, the 50mm F1.4 and Minolta 50mm F1.7 are very poor examples – a lot of old Minolta zooms and primes have much better rendition of out-of-focus highlights. And now, on to the Olympus E-30! I found out why it’s said to be the poor man’s E-3. They still had the clunky way of adjusting Kelvin WB in Live View (an immensely useful feature) but it was slightly easier to hold down the EV button while rolling the rear dial now. 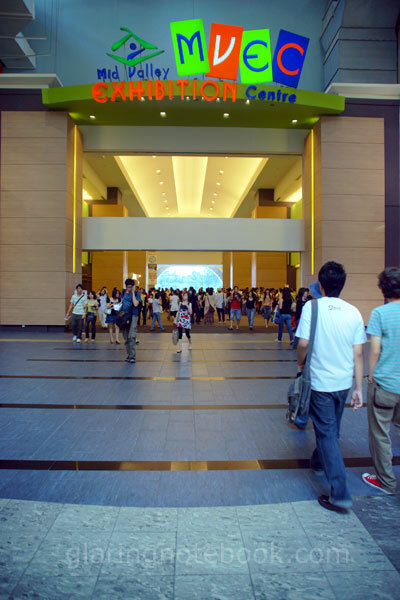 How about the DCIM Show that happened recently at Midvalley Megamall? Disappointing. 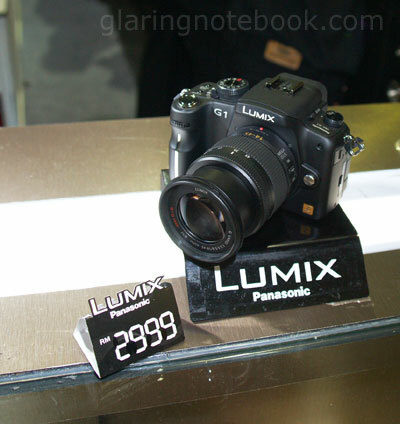 No, not the Panasonic G1 – the lack of anything really fresh, new or upcoming. The Panasonic GH-1, with honestly the best implementation of video in a digital interchangeable lens system, was not there. The GH-1 has an external gun mike, a Wind Cut function, fast AF tracking while recording videos (like a proper camcorder) and a lot of other things that make the Canon 500D’s video mode even more of a joke. 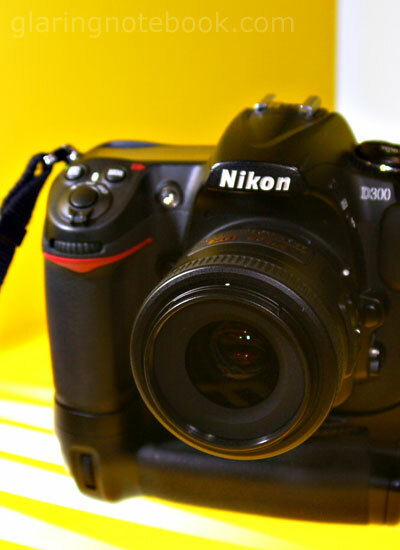 Oh, and Canon didn’t have the Canon EOS 500D there, either! 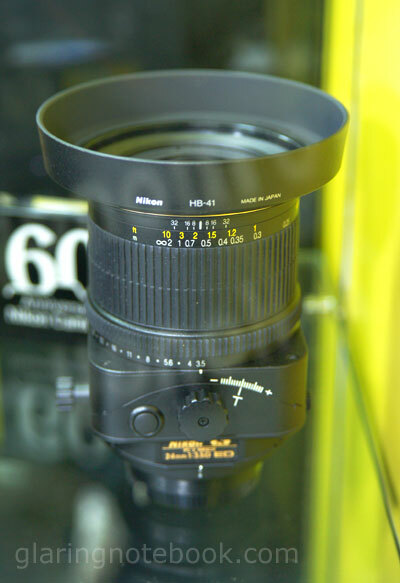 Fortunately, Nikon brought some cool stuff, like the Nikkor 24mm F3.5 tilt-shift! 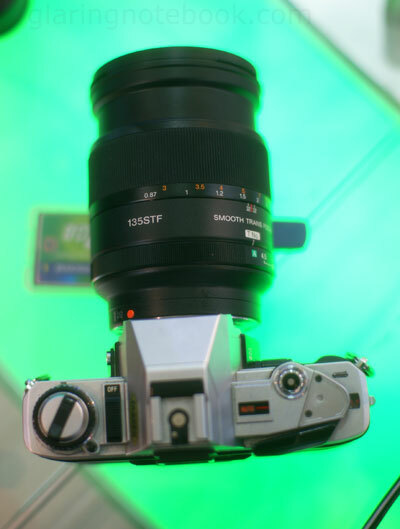 …and the diminutive Nikkor AF-S 35mm F1.8 DX. I then spotted a Minolta 80-200mm F2.8G, in black! This is not the HS version which is white. 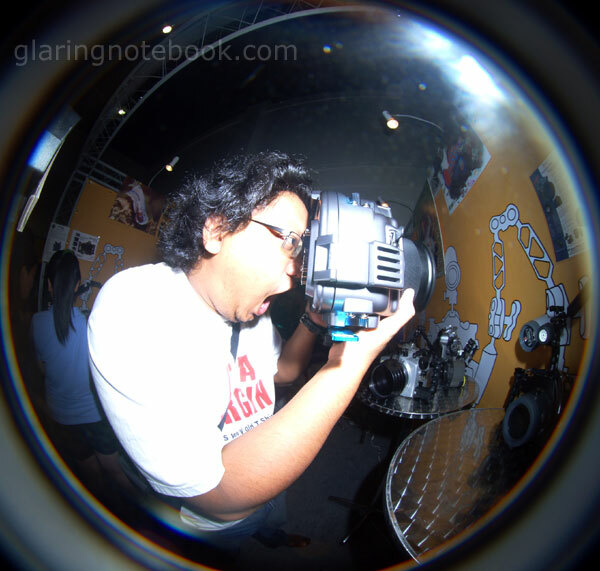 People then spotted my Fujifilm Digital Q1 infrared-modded interchangeable-lens camera! This is what a fish sees when they see a photographer. 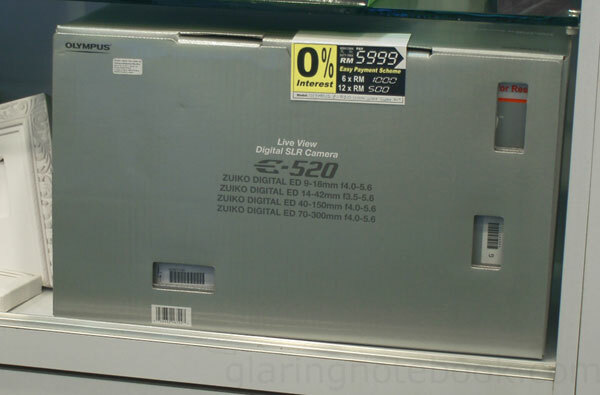 The Panasonic FZ-28 has a Kelvin WB setting! SWEET! Step up for the model shoot challenge! This entry was posted in Geek, Pictures on April 7, 2009 by 2konbla. That is the preferred method of therapy worldwide. OMG, damn poison your blog. Nice geeky update! I wonder how you shoot through the view finder of your X300? The STF is amazing! 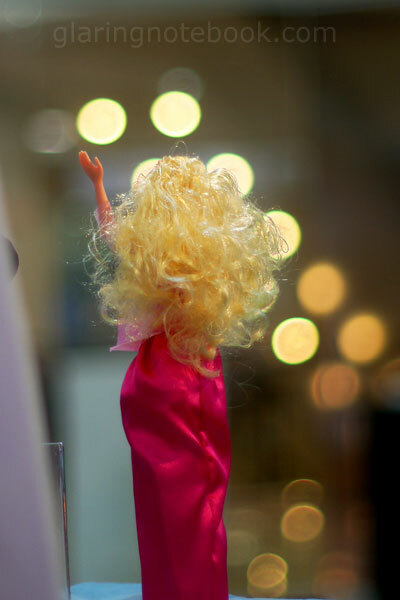 The out of focus highlights were fantastic to demonstrate this device’s awesomeness. 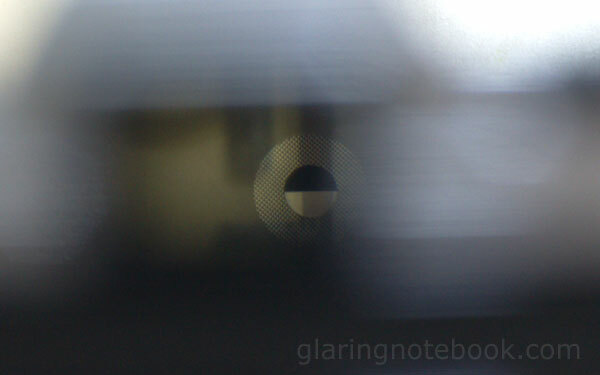 flysheep: I manually focused and looked through it. Normal viewfinders project a virtual image 1 meter away from your eye so that our eyes can easily focus on the viewfinder. Tan Yee Wei: Yeah man, it’s the one luxury lens to get after the rest.